Florence is a classic destination when visiting the Tuscany area, and a Florence day tour from Siena, Pisa, Lucca or Livorno is simply a must. Filled with art, culture, and history, the city has been home to some of the greatest creators, thinkers, and leaders of the last 700 years. Our Florence day tour is intended for those who want to visit Florence in a day while staying in Tuscany, even if they do not plan to stay in Florence overnight, and need transportation around the sights. 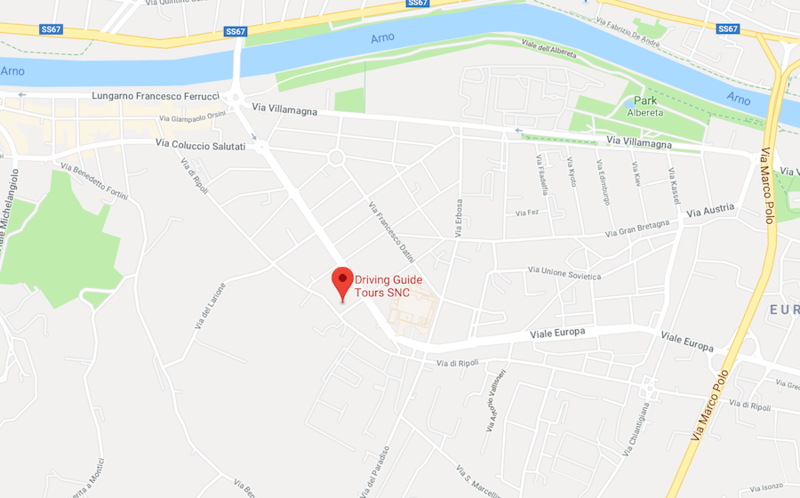 Our driver or driver guide will pick you up directly at your accommodation, whether you are staying in Florence or in areas that are nearby. Once you arrive in Florence from Siena, Pisa, Lucca, Livorno or any other place, you’ll have the opportunity to visit all the must-see locations, as well as some of the lesser known, but significant destinations such as the Uffizi Gallery and the Accademia Gallery. For your Florence day tour, we can also provide private walking tours, as well as guided museum visits with local licensed tourist guides. This is just one more way that we can work with you to provide you with all of the resources that you need to ensure that your tours are amazing experiences. This Florence private walking tour takes you to the most famous monuments in the city with an expert authorized private tour guide. It begins at the most famous of Florence’s tourist attractions, the eternal masterpiece Michelangelo’s David. From there you will have the opportunity to experience many of his other works at the Academy of Fine Arts Museum. After you have had a chance to stroll through the museum and see the timeless works of art, it’s time to move on to a destination where the building itself is the work of art. The Cathedral of Florence with its famous Dome by Brunelleschi and the gold Paradise door of the Baptistry, are the two ‘can’t miss’ items. The cathedral and the baptistery are among the most revered locations in all of Italy, and one would be remiss if they did not see them while in Florence. Services are held every morning, and participating is an option if you have stayed in Florence overnight. If not, it may very well be worth the effort to schedule your visit around a time when services are being held in the afternoon, or even in the evening. From there, your private walking tour continues through Piazza Signoria, the political heart of Florence since the 1300’s when Florence was considered the richest city in Europe. As make our way along the route, we are beckoned to Ponte Vecchio, the bridge that attracts so much curiosity not only by its unique, charming appearance, but also by the fabulous jewelry shops lining the bridge. Some of the best jewelry in the city can be found here and many times at a great bargain price. Not far from the bridge is additional shopping, which offers you wonderful deals on clothing, housewares, and collectibles. Also located nearby are art galleries and museums that are worth a visit, as well as plazas and parks with fine examples of Italian fountains. We finish up the walking tour at Santa Croce Church, one of the most important in Florence. The church contains the tombs of the most famous Florentine citizens such as Michelangelo Buonarroti, Galileo Galilei, Gioacchino Rossini, and many others. The church offers confession at certain times during the day, if you so choose to participate. Along the side walls are religious works of art which date back to the Middle Ages and the Renaissance. You should set aside about half an hour to tour the church. In some very special circumstances, you may be allowed to briefly visit the catacombs. This can add another hour to your tour, so please keep that in mind. Take your time here, the church is beautiful and there is a lot of history associated with the structure. After you are done here, it is time to say goodbye to your guide. If a limo has been requested, we will also go to Piazzale Michelangelo Panoramic Square, which gives a breathtaking view of our whole city. You will have the chance to take pictures of the city from the overlook, and perhaps share a bottle of champagne. What better way to cap off a great day than that! In fact we recommend when visiting Florence from Siena, Pisa, Lucca or Livorno that you consider the limo upgrade. It makes for a far more comfortable experience considering the travel time. This tour involves a total of about 1.5 miles of walking, conducted at a slow, comfortable pace and on flat terrain. The private Florence tourist guide will adapt the walking route to make it an easy tour for those who have particular walking difficulties. If you do have mobility issues or if the participants get tired easily, we advise upgrading this walking tour to make it a combined chauffeured service and private guided tour. Having a private driver will allow to cover distances in a shorter time and therefore make visiting more sights, especially Piazzale Michelangelo and San Miniato Church, which are the 2 jewels of Florence, easier.